Huawei Mate 20 Lite has instantly positioned itself as a leading budget phone on the market. It delivers the premium feel for an affordable price, and a list of specs that can compete with any other device in the category. Sure, it’s not the premier budget phone, as there are phones with better cameras, CPUs, screens, etc. But if you’re looking for the most complete package and a phone that does everything exceptionally well, the Huawei Mate 20 Lite is the way to go. Given its approval by the consumers and reviewers, a lot of people already own this device. And judging by the reviews and feedback, the Huawei Mate 20 Lite is working quite well for most people. However, an issue here and there may occur occasionally. That’s why we wandered the forums in search of the freshly reported issues with the Huawei Mate 20 Lite. So, if you’ve recently encountered any of these issues on your new phone, I hope you’ll find a solution in this article. Note: All the issues mentioned in this article are individually reported cases, which doesn’t mean any of the problems will occur on other devices. If you’re looking to buy this phone, DON’T take these problems into consideration. Screen dimming is not a bug per se, it’s “caused” by a poorly designed system feature. And it’s not exclusive to the Mate 20 Lite, as actually, all Huawei phones have the same “issue”. That “dimming”, as users usually describe it, is actually the Adaptive brightness, which changes the phone’s brightness depending on the ambient light, or apps’ background. Now, I’d normally advise you to go and disable the Adaptive brightness feature to resolve this problem, but that’s not entirely possible here. Namely, the Huawei Mate 20 Lite (and other Huawei phones) controls the brightness on its own. And even though the option for disabling the Adaptive brightness is available, it will be re-enabled on the next reboot. Nobody knows why it’s like that, but it’s simply the way EMUI is designed. Right now, there’s nothing you can do about it. A lot of people are complaining about this, so Huawei may decide to change this setting in the future, but we don’t know anything about it right now. Right now, there’s no known trigger for the battery drainage problem. So, even if you do experience bad battery life, the issue will probably get resolved with the next software update. So, just make sure to check for updates regularly. On top of that, there could be some other reasons for the battery drainage, like an app that eats too much battery or unnecessary background services (although, due to a good optimization of the system, this isn’t as big of a factor as it was before). Just make sure you have everything in check. This is another issue that’s common to multiple Huawei phones. Namely, numerous users have reported that MIUI is simply designed to decrease the volume automatically. So, if you’re not satisfied with the volume level on your Huawei Mate 20 Lite, keep in mind that’s just how your phone works. What’s even more interesting is that this ‘volume stabilization feature’ doesn’t work the same way on different Huawei phones. That’s why some users are complaining about it, while others don’t even notice anything. To partially resolve this ‘problem’, you can use a sound boosting or equalizer app to gain more control over audio on your phone. Bad Bluetooth audio quality can also be associated with the above-mentioned sound controlling feature. 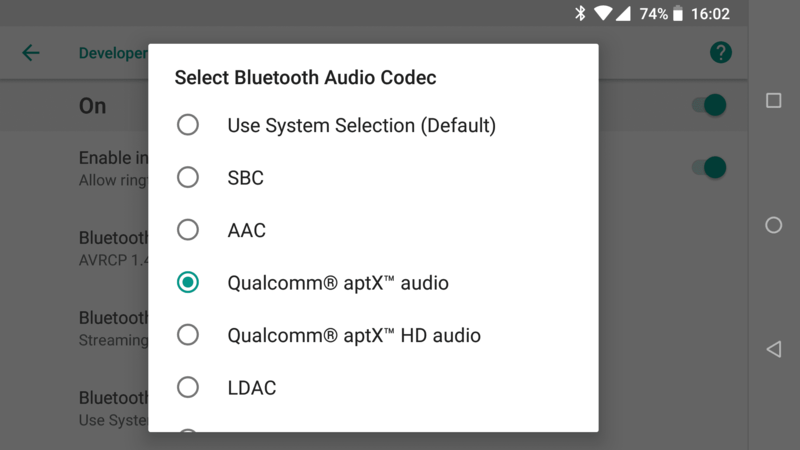 However, one of the main reasons for bad Bluetooth audio quality generally is using the wrong Bluetooth codec. You’re now using the aptX HD codec, and the audio quality should be better, at least that’s how it is in theory. Please also keep in mind that, depending on your Bluetooth headphones, the audio quality is generally lower than in the wired headphones, so there might be nothing you can do after all. Now, we’ve come to this phone’s biggest and probably most controversial issue so far. Namely, numerous users have been reporting that they cannot use their SD cards normally, as the phone recognizes them as damaged. This topic has raised a big debate on Huawei’s official forum, as more and more people are reporting the exact same issue. Huawei’s official support claims it’s a software issue, and that the developers are working on the fix. However, the problem still seems to exist, as no one actually received the fixing update yet. Some people even report they had their phones taken to the official service, but the service failed to do anything, and they got their phones back without any improvements. On the other hand, not all phones are affected by this problem, so it’s really the Russian roulette here. You may get a faulty phone, but you also may not. Right now, there’s nothing you can really do to resolve this problem, except using your warranty to replace the phone. The debate is ongoing on Huawei’s official forum, so you can keep track for any updates on the situation. If/when the problem gets resolved, we’ll update this article accordingly. The push notifications problem is another issue common to notched Huawei phones, especially to the Mate 20 series. Namely, as the notch occupies a huge portion of the screen, there’s no much space left for anything other than permanent icons (battery, time, network signal, etc. ), so the notifications from other apps don’t usually appear. Oddly enough, even turning off the notch won’t resolve the problem. That’s just how the EMUI user interface is designed, and a fixing update is nowhere in sight. So, you’ll probably have to bear with this as long as you’re using the Huawei Mate 20 Lite. And now something none of you like to see, but I had to include the general solutions in this article, simply because one of these may actually resolve a potential issue. That means you can use these workarounds to resolve basically any problem inside the Huawei Mate 20 Lite. It may not help, but you never know. That’s about it. I certainly hope you found a solution to your problem, or at least understand the issue better. If you’ve encountered some flaw I didn’t mention here, don’t hesitate to share it with all of us in the comments below.